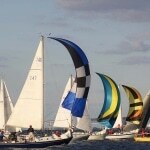 Summer’s at its prime and a lot of us are taking advantage of the hot, sunny weather! Many of us know the dangers that UV rays can have on our skin and the importance of staying protected under the sun. 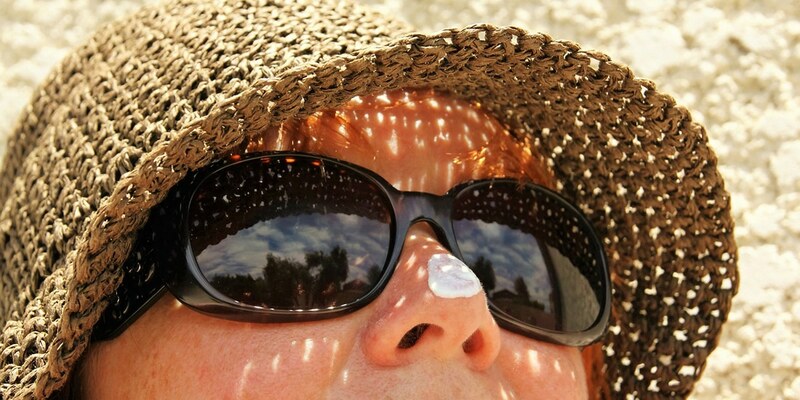 However, there’s also a lot of myths and misconceptions floating around about sun protection. That’s why today we’re busting the top 6 most common sun safety myths so that you can stay on top of your sun safety game. 1. It’s not possible to get sunburned on cloudy days. False! This is one of the most common myths. It’s easy to get a false sense of security when it’s grey out. But the truth is, it’s possible to get sunburned even on a cloudy day. Up to 80% of the sun’s UV rays can actually penetrate through clouds and damage your skin.¹ Next time you’re out on a cloudy day, don’t forget your sunscreen and other forms of sun protection. The free sun safety app, QSun, can also tell you the daily UV conditions for your city and give you personalized sun safety recommendations. 2. People with dark skin don’t need sunscreen. False! Contrary to popular belief, people with dark skin still need sun protection. People with darker skin produce more of a pigment known as melanin, which offers some natural protection against UV radiation. However, this natural protection only helps to a certain extent. People with darker skin can still get sunburned, and they can also develop skin cancer from UV damage. 3. I can’t get damaged through the car window. False! UV rays can still reach you even when you’re inside your car. Windshields are made with two layers of glass laminated with a plastic layer in between so they’re able to block both UVA and UVB rays. However, your side and rear windows are generally only made from a single-pane glass, which only blocks out UVB rays and still lets UVA rays through. UVA rays are associated with premature aging and skin cancer. Even when you’re on the road, don’t forget your sun protection. 4. A higher SPF allows for longer coverage. False! Don’t fall for the myths! The SPF isn’t an indication of how long you can stay outside in the sun. Rather, it indicates the proportion of UVB rays that are blocked by a sunscreen. For example, SPF 30 and SPF 50 actually offer relatively similar levels of protection. An SPF of 30 blocks 96.7% of UVA rays while an SPF of 50 blocks 98%. For both cases, it’s important to reapply your sunscreen, and even more frequently if you’ve been sweating or swimming. The sun safety app QSun can also give you helpful reminders to reapply your sunscreen. 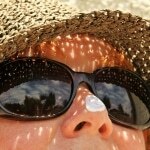 Related: Eco-Friendly Sunscreen: Have We Found the Key? False! There’s actually no such thing as a healthy tan. It’s an indication that UV rays have damaged your skin cells Your skin tries to increase production of melanin in an attempt to protect the skin from further damage, hence the darkened color. But in fact, it means your skin has already been damaged. That’s why you shouldn’t forget your sun protection even if you’re the type to never burn! 6. I don’t need sunscreen because there’s SPF in my cosmetics. False! Makeup and moisturisers with SPF are definitely useful to include in your sun protection regime. Despite this, like with any sunscreen, your SPF can wear off so it’s still important to reapply sunscreen throughout the day. Options such as sunscreen powders, mists, and cushions make it easier to reapply your sunscreen over your makeup.